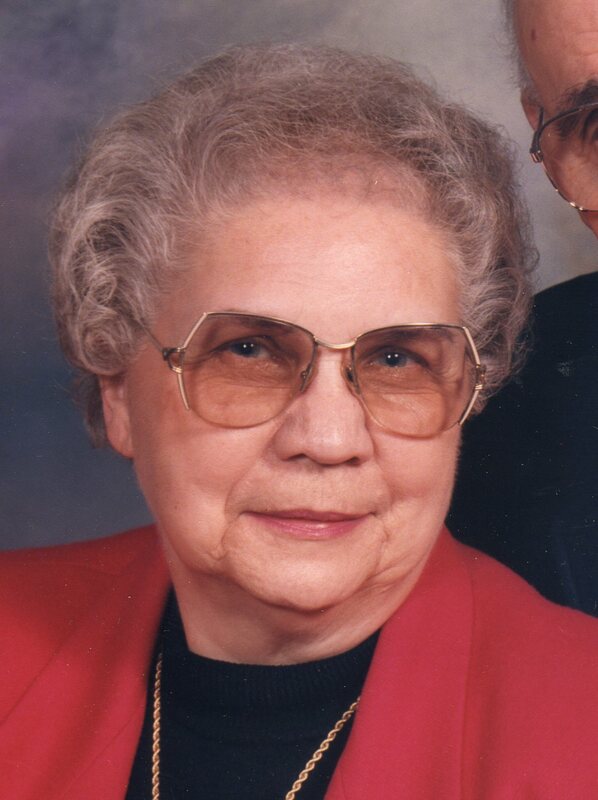 Roselyn M. Shondell, 92, of Fremont, OH passed away on July 27, 2017 at Bethesda Care Center. She was born on April 1, 1925 in Fremont, OH to R.J. and Mary (Wasserman) Darr. She was a 1943 graduate of St. Joseph High School. Rosie married Gerard “Jerry” B. Shondell on January 25, 1947 at St. Joseph Catholic Church and he preceded her in death on October 29, 2012. She was a homemaker and worked for Sears for thirty-one years until she retired in 1990. She was a member of Sacred Heart Catholic Church where she was a member of the Rosary Alter Society and Confraternity of the Blessed Sacrament. She was also a member of the Catholic Ladies of Columbia and volunteered at the Food Pantry, Madd River Railroad Society and Heisey Collections of America. Rosie loved to travel. Rosie is survived by her children, David (Cheryl) Shondell and Janie (Greg) Steffens, both of Fremont, OH; siblings, Janet Magrum, William Darr and Wayne Darr all of Fremont,; grandsons, Ryan, Eric, Cory, Philip, Scott and four great grandsons. She was preceded in death by her parents, husband, Gerard Shondell; siblings, John Darr, Mary Chudzinski, Sylvia Celek, Grace Peiffer and Celine Novitski. Visitation: Tuesday from 4 to 7 p.m. at Wonderly Horvath Hanes Funeral Home, 425 E. State St., Fremont, OH. Mass of Christian Burial: Wednesday, August 2, 2017; 11:00 a.m. Sacred Heart Catholic Church, 550 Smith Rd., Fremont, OH with one hour of visitation prior to mass at the church. Memorials may be made Sacred Heart Catholic Church or Bishop Hoffman Catholic Schools-St. Joseph Central Catholic High School Campus Tuition Fund.